How to find the best Playa del Carmen Fly Fishing Guides? If you are staying in Playa del Carmen, then you may wish to include fly fishing in your itinerary. However, the location is not entirely the best for this activity because it lacks flats and lagoons. Your best bet for playa del carmen fly fishing would be in the northern part of cozumel, where fly fishing is abundant and one of the best places for this kind of activity. If you wish to partake, you will need a fishing permit, which is not given to tourists directly. Therefore, you need to find a guide. Having a licensed guide will instantly allow you to fish anywhere you want in Cozumel. How to choose the right Fly Fishing Guide in the Riviera Maya? 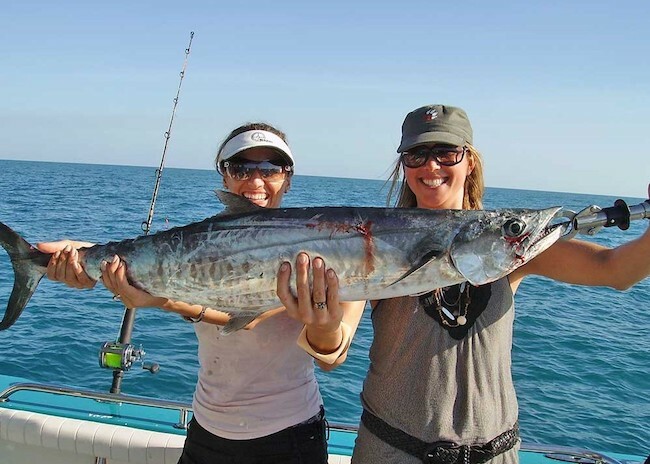 It is important to note that you will need a guide to fly fishing in the charters near playa as a tourist, not all guides are equally as knowledgeable or skilled in fly fishing. There are several notes that you should investigate before making your choice, as it can mean the difference between a successful trip filled with fun, laughter, and excitement or many wasted hours and money out of your pocket. The guide you select should first and foremost offer you a real and honest opinion of what they perceive the day's catch to be. These guides have seawater in their veins, so they will know when the conditions are prime for fishing and when they are not. As well as this, they should extend their truth and honesty to you through their actions. A unique fly fishing guide will not waste your time by taking you to locations which are barren; which they will already know is the case. Prompt delivery to the best areas for fly fishing will be a good starting indicator that they know what they are doing and that they are there to ensure you have a good time and that you will catch some fish. Why are the Cozumel guides your best choice when visiting Playa del Carmen? Guides should always be vocal and conversational about the prospects of catching a fish, the locations, their experiences and what they can recommend for the journey. A tight-lipped fishing guide does not want to share what they know, implying that they have something to hide and want your money. Fly fishing guides should also offer you more than just the fishing locations, but the experience itself, by heightening and improving on it significantly. When you go on a fishing trip, you want to remember all the small details leading up to that one picture good catch. If you are a beginner, they should also be very mindful of the things that you do so as not to waste your time. If they see that you are not very much in touch with your "fishing skills," then they should show you the right way to do it while being honest and polite. When it comes down to it, you want to pick a guide that you can trust, that shows you the greatness of fly fishing and ensure that at the end of the day everyone is happy. After all, the journey is not one alone but with an adventure shared with those who love to fish.